If You’ve Got Crab Make Some Crab Cakes! Although I am often heard saying “our crab meat isn’t just for crab cakes” it is the most popular and common application. That being said, I have made more crab cakes than I care to think about. I have also tried crab cakes all over the country and have tasted some really great ones, but usually I am left disappointed. It is called a CRAB cake, not a breadcrumb cake or a mayonnaise cake with some crab, but I think some people missed that memo. Crab should be the first thing you taste and all the other components should be there in a supporting role. 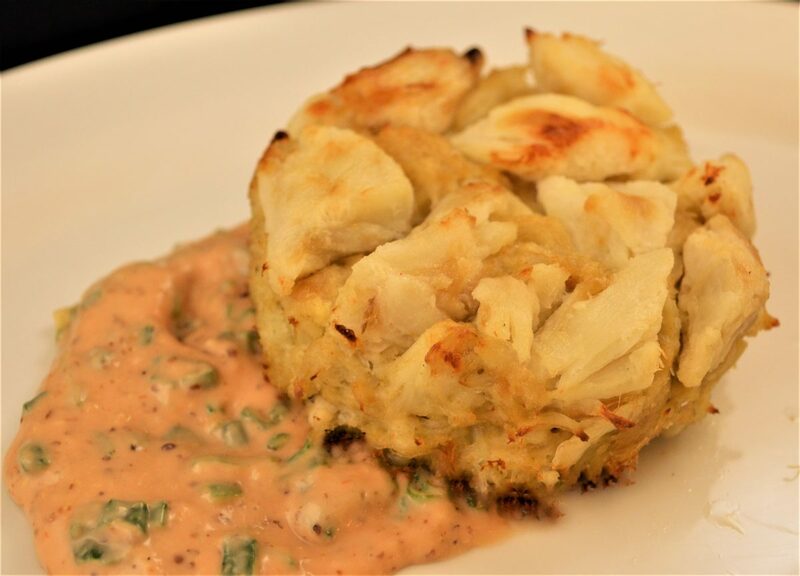 There are many variables to consider when deciding on a crab cake recipe. First there is the crab meat, which of course needs to be Jack’s Catch or Pacific Cove if you want a great cake. From there you have to think about cost, because we offer a wide range of swimming crab meat in multiple forms and from multiple species. Each one has it applications and can work very well if used correctly. We offer frozen crab meat which is an excellent economical alternative to our refrigerated product lines. 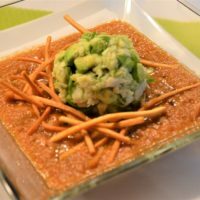 I have spent years working with this product to perfect its application in everything from a classic crab cake to a mango ceviche. From there we have three types of crab in our Jack’s Catch line including both red and blue swimming crab. Our Pacific Cove line, however, is made solely with blue swimming crab meat (Portunus Pelagicus). We do not blend species, you get what you are paying for. I like to use the analogy of buying Prime ground beef only to find out is was blended with choice and select. From there you have to decide on the grade of crab you want to use. All swimming crab is wild caught and handpicked and graded for size. Every company uses different terminology for their grades, which can be confusing which is why I will try to make it easy. I explain to people that there are two basic types of swimming crab meat, white meat and dark meat. The dark meat is easy, it is called claw meat and it has a darker color and more pronounced flavor. The white meat grades include the jumbo lump, whole pieces from the two largest muscles in the crab (also called colossal, jumbo or petite jumbo), then the super lump, which is broken pieces of jumbo lump (my favorite! ), lump, backfin and backfin lump, which are all medium sized pieces of flake meat from the body of the crab and the small pieces of flake are called special. You can use just one grade of crab to make a cake or you can blend the meats into your cake, starting with the smallest grade and finishing with the larger pieces. Once you have selected your crab meat you have to decide on the other components. The binder, which can be anything from fresh breadcrumbs, crushed saltines, panko breadcrumbs, crushed Ritz crackers (my favorite) or even something out of the ordinary like crushed tortilla chips. Then you need your wet ingredients usually mayonnaise and/or egg, sometimes I use melted butter as well. For flavoring the classic combination is Old Bay seasoning, Worcestershire sauce, mustard and sometimes lemon juice. 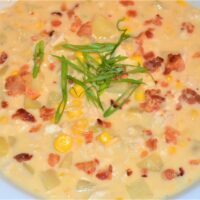 You can also add diced vegetables, scallions, chives, or herbs like parsley or cilantro. Crab cakes are an great way to try out new flavors and even work well with Latin or Asian flavor profiles. The trick is to add just enough seasoning to compliment but not overpower the crab, just enough of the wet ingredients to coat the crab and just enough breading/binder to hold it together during cooking. Depending on which of our crab meats I am using I adjust my recipe, for example with our frozen crab I use less wet ingredients and a little more seasoning and breading as the crab has been frozen and thawed and has a little more natural loose liquid. 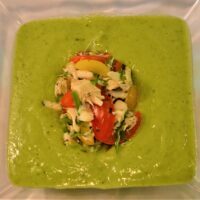 I will be posting all kinds of recipes for crab cakes as well as other unique crab dishes but here is one of my favorite crab cake recipes. Oh, and a sauce because as Craig Hospodor, our Sr. VP of Sales always says, “Chef John can’t serve a crab cake without a sauce”. In a mixing bowl combine the mayonnaise, egg, mustard, seafood seasoning and Worcestershire sauce. Add the crab meat and gently fold into the mayonnaise mixture using a rubber spatula. Dust the ground cracker evenly over the mixture and gently fold to combine (try not to break up the crab meat) adding just enough to bind the mixture. Portion into cakes using either a measuring cup or scoop. Or preheat oven to 375⁰, place cakes on a baking sheet. Cook for about 12 minutes or until golden brown and heated through. Add everything except the Mayonnaise to a blender and puree until smooth. If it will not puree, you can add some of the mayonnaise to help. Pour in a bowl and stir in the mayonnaise. Welcome to the Newport International website and to my Chef’s blog! I have a very unique and incredible job of traveling the country and sometimes the world to develop new and exciting applications for our seafood products. Sometimes this occurs in a corporate office, sometimes in a test kitchen and many of the times in a convention center. The key to my job is to be as prepared as possible yet be ready to change plans as you never know what the day will bring. My trips usually start with me getting off a plane in a new city and using Google maps to find the “best” local market to buy ingredients, hopefully somewhat similar to the items on my punch list for the menu for that day. I would say I usually run about a 75% success rate and the rest has to be improvised on the spot. It can be as simple as not being able to find a good cut of beef for a steak Oscar or not being able to find ripe mangos for a crab & mango ceviche. 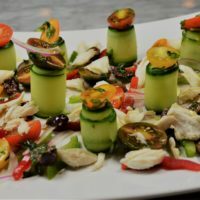 I try to find fresh local ingredients whenever possible and work our seafood into popular regional recipes that create a familiar yet exciting flavor profile. 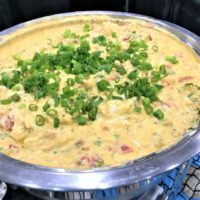 I remember going out to a big food show a few years ago in the Mid-West planning on making a Maryland Style Crab Bisque as one of the dishes to serve a few thousand visitors at the show. As I was walking the store I came upon some local wild rice and bought every box they had. 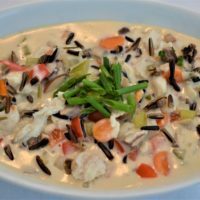 From there I created a Crab & Wild Rice Chowder and it was a huge hit with everyone as they knew the flavors, however, “had never thought of putting crab with wild rice”. Most of these experiences are relatively easy in comparison to my most recent trip to Asia in May. I was over with a group from a major Japanese flavor company touring their facilities in Japan and China. After 10 days , 11 flights and 12 cities between Japan and China we were at our brand new state of the art factory in Zhangpu, China. Luckily, I had been to the city earlier in the year and knew there was one grocery store that had a few, very limited, Western ingredients. The plan was to create a 10 course tasting menu for 20 guests from China and Japan featuring our two company’s products the next afternoon. We would be cooking in a makeshift kitchen that we put together in a brand new, never used before, QA lab in one of the buildings. The kitchen consisted of a thermal circulator that was brought from the US, a toaster oven, two induction cook tops and a small propane stove. I had been planning the meal for weeks and the head of US sales for the Japanese company, who is also a good friend, kept asking me what we were going to make. I repeatedly tried to explain that I would know when we went to the market the day before the event and I saw what ingredients we would have to work with. Needless to say, this did not sit too well with him as he is extremely structured, organized and is used to having every detail planned months in advance. He kept listing ingredients that he wanted to use and I continued to say “we will see what they have”. After a frantic trip to the market we had our ingredients and somewhat of a menu. The plan was to incorporate 14 of their products, including a myriad of Asian style flavors, seasonings, sauces and bases in conjunction with our seafood, some local produce, meat & poultry. The menu was done and I drew each dish with colored pencils, highlighting each component, to use for reference the next day. Steamed Bok Choy, Buckwheat Noodles, Chicken with Soy Sauce Ramen Broth, Chicken Breast Braised in Lemongrass Seasoning and Roasted Chicken flavor, Ginger, Fresh Citrus.